Provides a new dimension for your arts and crafts. 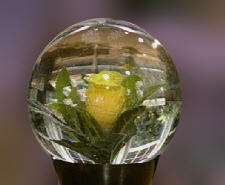 Illuminates and magnifies your personal creations. Adds a personal touch to your special treasure. Extends the life of fresh flowers several weeks.